Are you interested in door installation Landover Hills, Maryland expertise? Simply, contact King Door and Lock Maryland and DC! You’ll certainly be impressed with our complete list of door repair and installation solutions for homes and business. Is the entry door of your home damaged and in severe need of replacing? Does your current garage door merely open halfway? 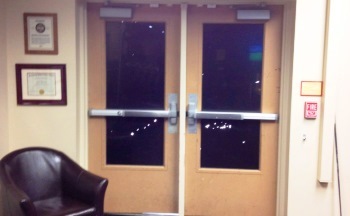 It’s especially important for companies to possess useful and proper front doors. No matter what type of door you require, King Door and Lock offers 24 hour Prince George’s County, MD door installation services. Door replacement, repair, and installation needs for businesses are significantly different from a residential property, so be sure to hire specialists in industrial door installation and repair. Your office may have multiple entrance doors that must operate seamlessly next to one another when a client arrives and leaves. These types of doors will likely contain much more advanced integrated locking mechanisms in comparison to the ordinary door knob together with a key hole located in most residences. You’ll definitely want our professional technicians fixing your storefront door. We also understand, being a business ourselves, that you’re continuously keeping an eye on your bottom line. King Door and Lock Maryland and DC is certain that you will not find a better value pertaining to door replacement or door repair compared to what we supply. If you find a cheaper company for the task, then they will be lower in craftsmanship as well. To make it easier for you, King Door and Lock employs up-front pricing to make certain that there will be no hidden fees. Perhaps you currently have a garage door, but it really is not doing its job properly anymore. For the same reasons given above, you need to be certain that garage door repair is done correctly the first time to guard the belongings you keep within. Our knowledgeable professionals will look into your garage door and notify you if it requires to be replaced or perhaps if it can just be repaired. We always let you know what it is going to cost up front so there will be no surprises when you receive the statement. Upgrading your home in the Landover Hills area and adding on a garage? Let King Door and Lock Maryland and DC work on your garage door replacement. It is important that a garage door be handled by specialists. Your garage is the ‘home’ for your car and various other possessions that the majority of us keep in there: lawnmowers, leaf blowers, bicycles, etc. It is necessary that your garage doors remain safe and functional. You want the job done right by our highly trained specialists utilizing their high tech equipment and tools that allow them to take care of any job of this nature. King Door and Lock stands out not only at residential garage doors but our crew also installs and repairs commercial garage doors. 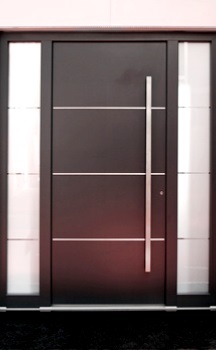 Make use of our comprehensive door professional services so our company can help your business to succeed. Our fast and friendly specialists will get to your office promptly to inform you how much repair or installation is going to cost. We will subsequently deal with the work efficiently and courteously so you can give attention to your own business. The crew at King Door and Lock exceeds expectations at repairing and installing many residential doors. Do you want a whole new screen door? If you do, contact our company to see exactly what screen door solutions you’ll need. We provide honest rates to ensure no surprise charges. The front door of your property is the initial thing many guests see once entering. An entry door installment with King Door and Lock will surely suggest professionalism, workmanship, and high caliber to anybody who walks through it. When you invest in entry door installation from King Door and Lock, you will get straightforward rates which means you understand specifically what you’ll be paying for. You’ll have certainty in the work that we perform when installing any of your doors. We can easily also handle that back door opening onto the back yard or terrace, regardless if it’s a traditional hinged door or even a sliding glass door. Depending upon how damaged the door in question is, we’ll be able to either complete a patio door repair or complete replacement. King Door and Lock is known for supplying the finest door installation Landover Hills, Prince Georges County service. The workers at King Door and Lock Maryland and DC are the door industry experts. For door installation Landover Hills, Prince Georges County services, contact us. We offer complete door expertise: door installation, door replacement, door repair. Our 24 hour door assistance includes residential doors, commercial doors, and garage doors. King Door and Lock services not just exterior doors, but also does really well at interior door installation and repair for homes or workplaces. Internal doors our company specializes in repairing and installing include pocket doors, closet doors, and bedroom doors. First, our professionals will determine the kind of work that has to be carried out. You may not necessarily need a brand-new door installed. It may be a question of a door jamb repair or even a door hinge repair. In the event the door frame is damaged, then maybe a door frame repair is all that will be needed. Our specialists will isolate the problem, find out what in fact needs to be done, and afterwards, give you up-front prices so you have the information you will need to make an informed decision. If you’re in Landover Hills and the vicinity, contact us today. We’re here for you round the clock! Our Door Installation Landover Hills Services in Maryland https://kingdoorandlock.com/maryland-door-installation/prince-georges-county/landover-hills/ 4.2/5 based upon 15 reviews.